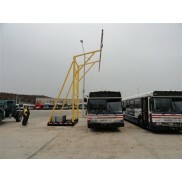 Vertical systems come in a variety of lifelines and ladder safety equipment. 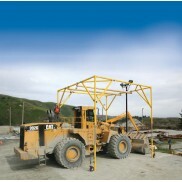 Providing safety, climbing mobility and productivity. 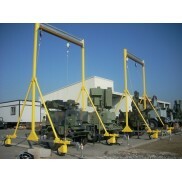 Vertical systems provide fall protection for work on ladders, towers, tanks and utility poles. These systems are portable or permanent, mobile or manual, assisted or non-assisted. This allows the user to move up and down the full height of the system without having to disconnect and find new tie-off points. These systems are corrosion resistant – galvanized, stainless steel or anodized aluminum. 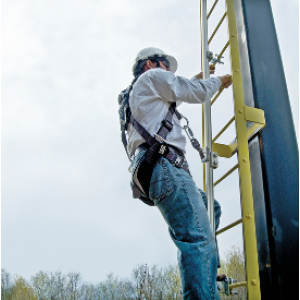 PURPOSE: For fall arrest protection when working from heights on fixed access ladders, towers or roof tops.